Here's an opportunity to create your dream holiday home on this beachfront leasehold plot in Tabanan, being offered by Terje Nilsen from Seven Stones Indonesia. This is an idyllic location to build your luxury residence, either for a holiday home, or a permanent residence. 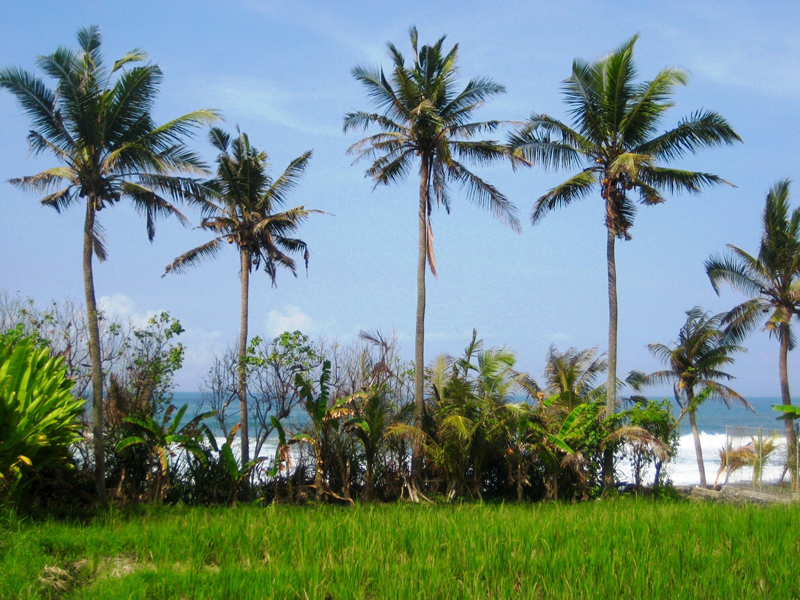 Located in a peaceful area of Tabanan, this (well priced) absolute beachfront land is in Banjar Dukuh, the same village as Soori Bali and neighbours several exclusive retreats and private estates. You will have 1,870 square meters of land and just over 20 metres of beach frontage. This plot enjoys picturesque views over the ocean as well as the surrounding lush green rice fields. It provides you with a rare opportunity to enter into the highly sought-after luxury land market, at a price we feel won’t break the bank! What is on offer is a 23-year lease with an option to extend, and this terrific opportunity is sure to be on the radar of savvy investors and developers alike. Main road access and PLN electrical supply are available. For more information including additional photos and pricing information visit the Seven Stones Indonesia website via the link in the contact details below. To arrange a private inspection, email or phone Terje H Nilsen from Seven Stones Indonesia via the contact details below.